Eskom CEO Phakamani Hadebe has said that higher tariffs will not solve Eskom's debt problems, entirely. The CEO on Monday was responding to questions from the National Energy Regulator of South Africa (Nersa), which is conducting nationwide public hearings on two tariff applications from Eskom. The first relates to a 15% increase in tariffs for the next three years, while the second application relates to higher tariffs to recover losses from 2017/18. Both Hadebe and Eskom Chief Financial Officer Calib Cassim had stressed the power utility's debt situation. Over the past year debt has grown from R380bn to R419bn. Most of Eskom's financial ratios deteriorated and are expected to worsen, the public heard. Eskom is in a position in which it is using more debt to pay off debt. "In a personal capacity that's like using one credit card to pay for another credit card," he explained. "At the end of the day we want a situation where can meet debt service commitments," he told the panel. He added that Eskom needs the regulator to make a reasonable decision on tariffs, as well as support from government so that the state entity can convince auditors it can remain a going concern in future. But the executives were subject to a thorough grilling from the Nersa panel, with regulator member Jacob Modise also suggesting that Eskom was misleading the public by claiming its tariff charges was among the cheapest in the world. To this, Hadebe responded, "Categorically we are not misleading South Africans. We are telling you facts, we are telling you the problems we are facing and challenges we are facing and what we are doing to solve it. "When we say we apologise to South Africans, we mean it. South Africans deserve better." He said his statements about Eskom's tariffs being among the cheapest was backed by research from the World Bank (2016) and other independent researchers like Boston Consulting Group. 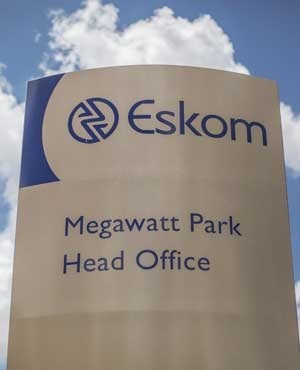 Modise probed Eskom to find out why the public had to pay for decisions Eskom management had made – such as servicing long-term capital requirements with short term loans. Hadebe pinned the utility's difficult situation to the poor balance sheet, as creditors are not willing to give Eskom longer-term loans. The balance sheet does not allow Eskom to go and pick and choose whether it wants a 15-year bond or a 20-year bond. "Eskom's only long term bonds is from global development financial institutions like the World Bank. He explained it is not Eskom's choice to get a one-year loan, but the utility would rather take it than not have it. Nersa CEO Chris Forlee pointed out that if Eskom was granted the 15% increase, it would still have a debt hole of R50bn. He wanted to know how Eskom intended to plug the hole- whether that be reliance on a government bailout or more borrowing further exacerbating its debt cycle. He also wanted to know what Eskom is doing to arrest its growing debt, which had increased 10-fold over the past 10 years (since 2008). Hadebe explained tariffs are not a silver bullet to servicing debt of R50bn. "We are not saying a silver bullet will help us but will be closer to servicing debt, but not the total debt. [There are] a combination of things on the table, the tariffs will help." Among the initiatives in place include cost cutting in capital expenditure and operational expenditure. "As management of Eskom we are committed to taking difficult decisions," he said. But the utility also needs the regulator [to] consider the challenges it is facing, as well as support from the government- the shareholder. "Eskom is on a debt cliff. If we do not get any guarantee, if government does not come and talk to us by next year, we will not be able to access the financial markets," he said.